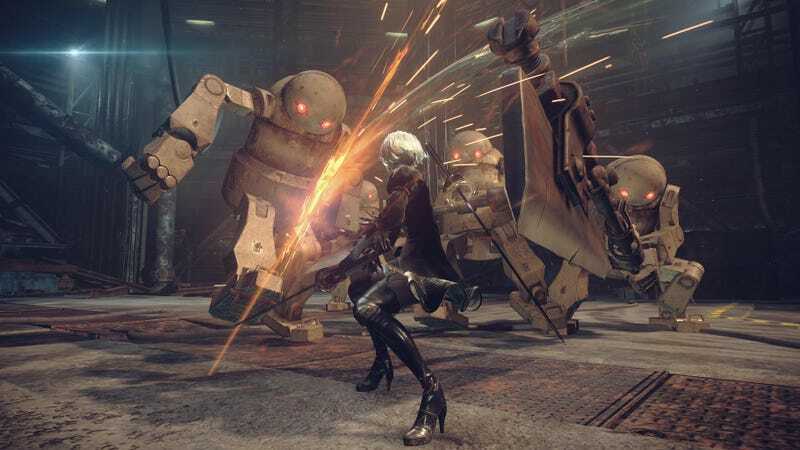 The demo for Nier: Automata released last week. Playing as a super fashionable android, players slice and dice their way through waves of robot enemies. But un-equipping one essential item gives an instant game over. Reckless players can still remove the chip, tearing the operating system from their android. The result is what you’d expect: a swift fade to black and a return to the title screen. 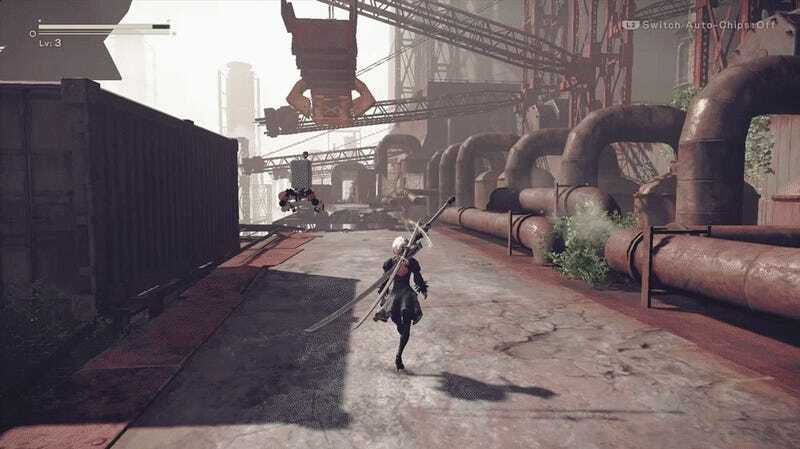 Game director Yoko Taro is renowned for playful interfaces and meta-textual quirks. This is just another on a list that includes sudden gameplay changes and memory card fuckery. It’s unclear if this will carry over into the main game but for now, if you ever wanted to commit menu based seppuku, now’s your chance!